The Oregon Coast has quickly become one of me and J’s favourite places to visit during the summer. 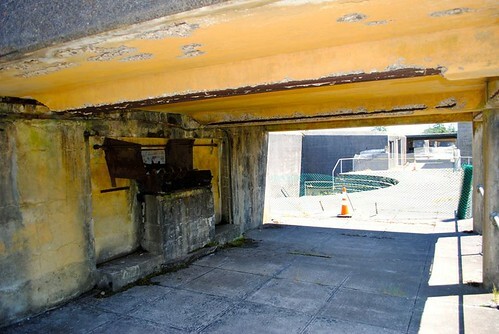 When we made the trip in 2012, we didn’t get the chance to explore the military fort at Fort Stevens State Park. 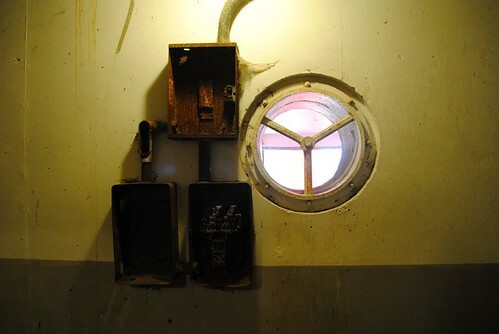 We returned to the area a few weeks ago and made a point of stopping by. 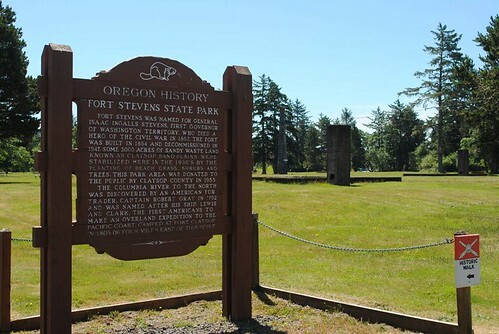 No longer an active fort, Fort Stevens was first established during the Civil War and was named for General Isaac Stevens, a former Governor of Washington Territory. 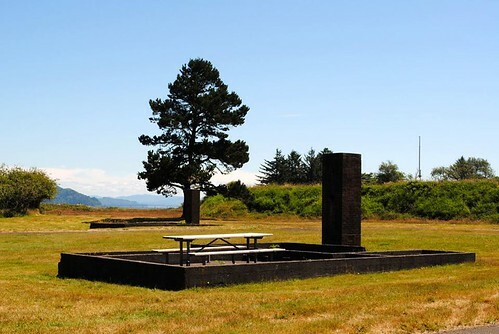 Situated on the most northwestern tip of the State of Oregon, at the mouth of the Columbia River, the fort’s location provided for expansive views and allowed officers to anticipate potential threats. 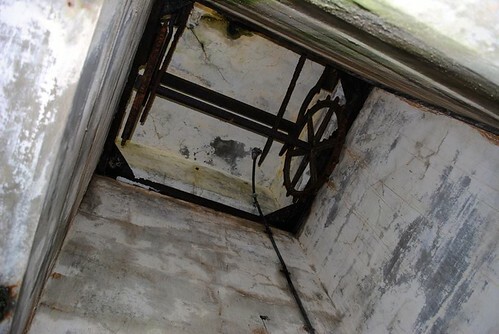 The fort was continuously used over the next several decades and throughout World War II. 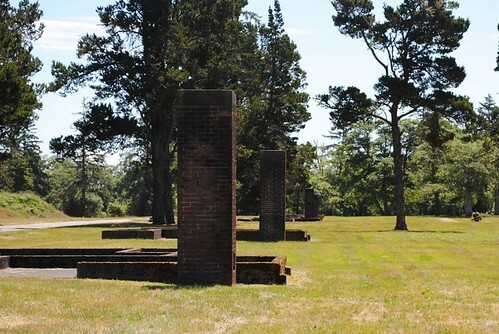 While it was originally a very primitive fort and surrounded by a moat, by its peak period Fort Stevens contained several well-constructed batteries and was stationed by approximately 2,500 soldiers. 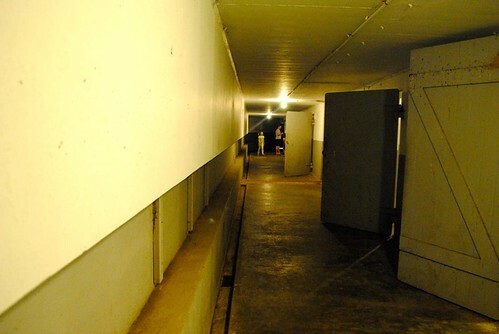 Battery 245, facing towards the Pacific Ocean, was situated mostly underground and was designed to be air tight in the event of a chemical attack. 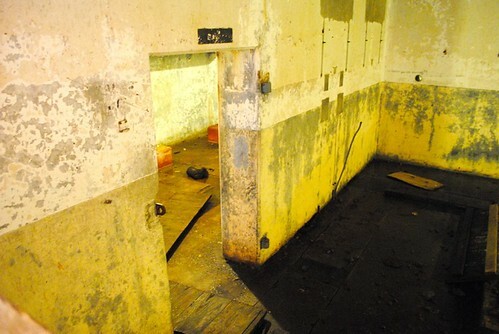 It’s arguably the most unnerving part of a visit to Fort Stevens, with little natural light, dark and damp rooms, and a history that predates most visitors. 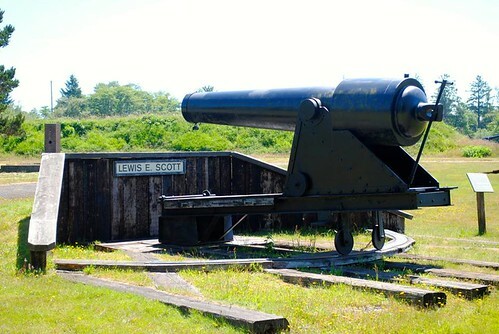 Battery 245 is still in great condition and is open to the public. 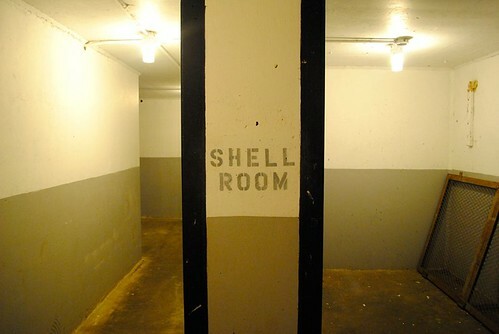 Many of the rooms are labeled according to what they once housed, and exploring the battery easily gives a visceral sense of what it may have been like for the men stationed there so many years before. 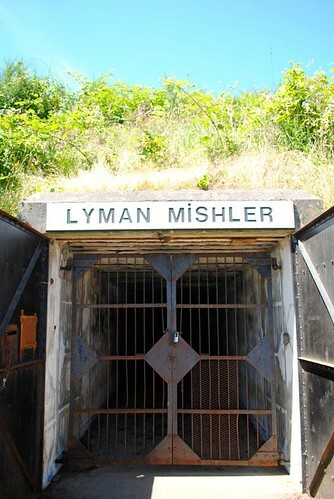 The largest installation at Fort Stevens is a series of gun batteries linked together, overlooking the Columbia River. 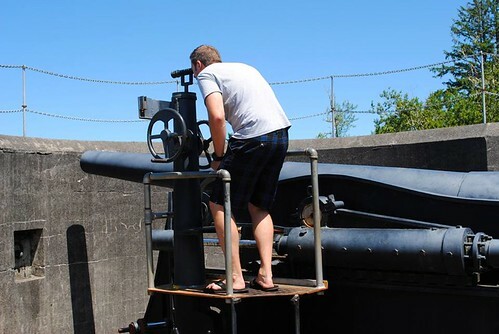 While all of the guns were removed in the late 1940s, the remnant of one gun remains with its telecscope intact, allowing visitors to see clear across the river in increments of hundreds of yards. 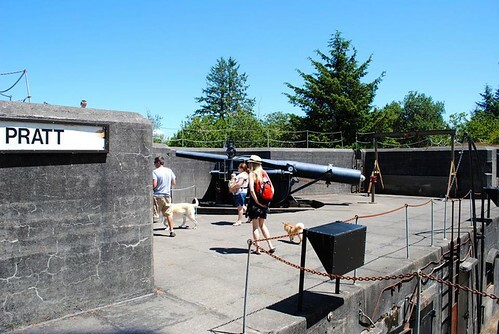 While we visited Fort Stevens, it was easy to see that even today, this is still a popular stop for tourists to the area. It’s not often that I’m given the chance to see and experience something that I’ve only ever read about in text books or seen in documentaries. 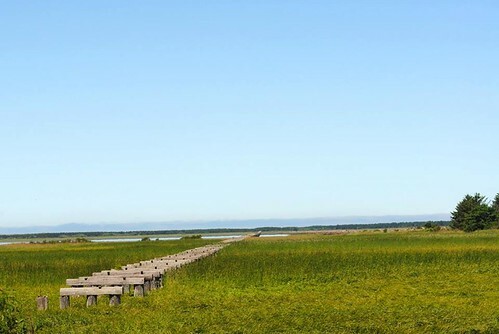 This area of Oregon is filled with a rich history that’s still alive today, dating back to Lewis and Clark’s voyage to the coast with the Corps of Discovery and the even earlier history of America’s indigenous people. If anything, exploring the region has certainly sparked in me a thirst for more knowledge of the history of the discovery of the west coast. 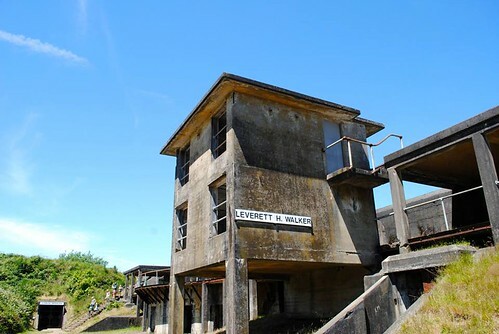 If you find yourself on the Oregon Coast, take in a slice of history and explore Fort Stevens. 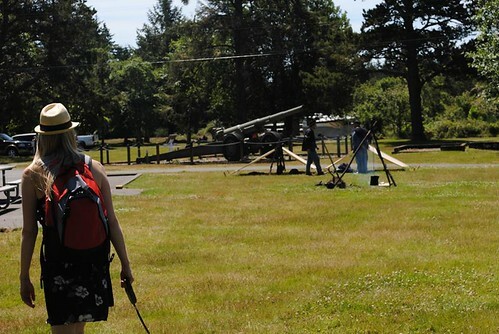 I’d recommend visiting earlier in the day if it’s summer as Fort Stevens isn’t very shaded and gets warm quickly. 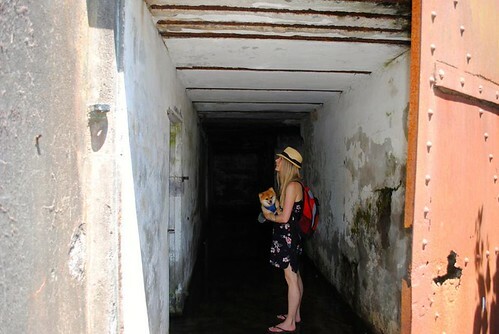 A hat, sunscreen and plenty of water for your entire brood (dog included!) are also recommended. 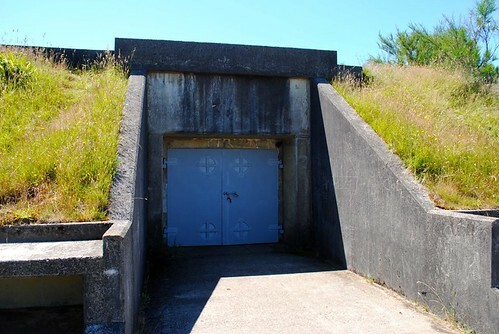 For more information, visit Oregon State’s official Fort Stevens website, proudly sponsored by the Friends of Old Fort Stevens. 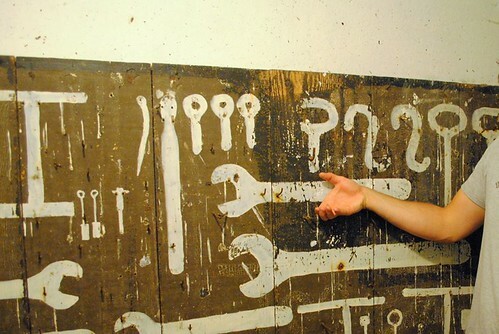 There you’ll find more facts, history and fascinating photographs. 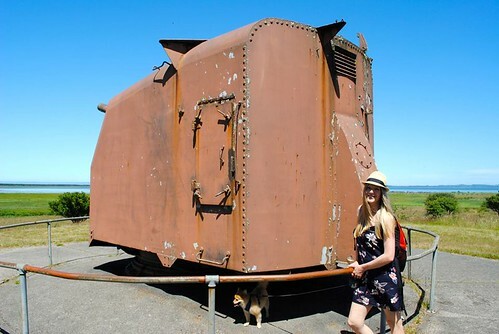 Fort Stevens State Park is located at 100 Peter Iredale Rd, Hammond, Oregon.